Private land is gradually emerging as a global biodiversity conservation strategy for its potential to complement the existing protected area model in its attempt to halt the global biodiversity loss. However, involving private lands in conserving a public good face continuous challenges. While examining landowners’ motivations for conserving their land is imperative to its success, it is equally important to assess how other stakeholder groups perceive private land conservation. In order to capture the diversity and contrasts in implementing private land conservation, this research focuses on investigating the managerial perspectives on the status of private land conservation in two countries: USA and Poland. The paper presents the results of twenty five in-depth interviews that were conducted in the two countries. The US context, with a longer history and experience, captured complex interactions and factors that influence private land conservation, including role of conservation policies, civic sector organizations, stakeholder collaboration, technical and financial support, and nonmonetary motivations of landowners. The Polish context however, was limited to the regulatory model and as such did not differentiate private land conservation from traditional protected areas. Additionally, the lack of voluntary initiatives along with adequate policies and lack of awareness on private land conservation at a national and local level contributed to limited scope and understanding on the subject. The two case studies highlight the context dependency of such a strategy and bring to focus some of the factors that should be addressed while adopting conservation on private land as a biodiversity conservation strategy. The role of private land in biodiversity conservation has only recently been recognized, more so as protected areas are proving insufficient to reduce and halt the global biodiversity loss (Knight and Cowling 2007; Langholz and Krug 2005). 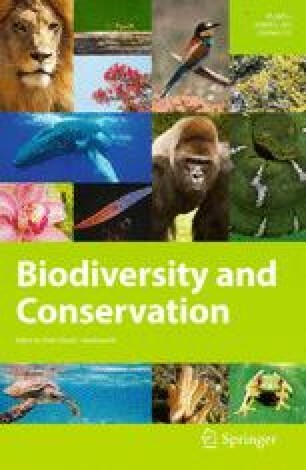 Protected areas can certainly be considered as a necessary condition for sustenance of biodiversity but they are often limited due to their isolated and limited geographical coverage, their lack of connectivity, their possible downsizing and their limited coverage of actual global biodiversity (Kamal et al. 2014; Mascia and Pailler 2011; Mora and Sale 2011; Naro-Maciel et al. 2008). In this regard private land can play a significant role. Although private lands are not a sufficient condition for biodiversity conservation, nevertheless, they can contribute to larger and contiguous landscape protection, better connectivity between protected areas and higher coverage of global biodiversity (Kamal et al. 2014; Smith et al. 2006). For instance, 85 % of the federally listed species in the United States (US) occur also on private lands (Stein et al. 2010). Hence, involving private land in conservation is becoming crucial, especially with the increasing demographic and developmental pressures (Joppa et al. 2008). However, involving private land in conservation strategies is complicated by the nature of the land itself—that it is privately owned (Mascia 2003; Tikka and Kauppi 2003). The challenge is to convince landowners and institutions that a public good such as biodiversity needs private land for its conservation. At the same time it is important to resolve the gap between conservation priority (determined based on biological and ecological knowledge) and conservation opportunity (the capability and willingness of people or a community to participate in conservation actions), as defined by Knight et al. (2010) and Knight and Cowling (2007).The conventional top-down model of governance used in protected areas is unlikely to work on private land conservation due to the nature of ownership and the lack of implementation or monitoring (Kamal et al. 2014; Knight et al. 2010). Instead, it is crucial for managers of private land under conservation to strive for a delicate balance between conservation and regulation, as site selection and management actions will influence landowners’ perception of this strategy and in turn affect its acceptance and efficiency. Also, translating theory into practice will depend largely on how agencies responsible for implementing private land conservation perceive and approach this strategy. The research goal, therefore, is to analyze the institutional perspectives on the status of private land conservation, the factors influencing its effectiveness and the challenges it continues to face. In order to capture the diversity in the interpretation of private land conservation, this research focuses on two countries as case studies that are at very different phases and have very different approaches to private land conservation: Poland and USA. Poland poses a unique challenge for private land conservation with its interesting mix of troubled political history contrasted with its progressive future as a Member State of the European Union (EU). Biodiversity conservation in Poland has been very traditional so far, with protected areas being the only functional units of conservation. Private land conservation exists only within the borders of protected areas and are mostly regulated or passive (Grodzinska-Jurczak and Cent 2011; Kamal et al. 2013). Using Kamal et al.’s (2014) classification system of private land conservation, most private land involved in biodiversity conservation in Poland can be classified as category II (regulated private properties) and category VI (inactive conservation). With the accession into the EU in 2004, Poland had to adopt several EU policies into its national strategy, Natura 2000 being one of them. Simply put, Natura 2000 is a framework of two directives (the Birds Directive and the Habitats Directive) which together form the backbone of EU’s biodiversity conservation strategy (European Commission 2013; Hiedanpaa 2002). In order to become a Member State, Poland designated nearly 20 % (approx 68,04,300 ha) of its terrestrial area as Natura 2000 sites and a significant proportion of it lies on private land (GUS 2013). There is also significant overlap between Natura 2000 sites and other forms of protected areas (Kamal et al. 2013). This has generated considerable amount of conflict among different stakeholder groups, especially landowners who feel their authority over their land being threatened, and the only solution to the “problem” of having private land within protected areas have been acquisitions (Cent et al. 2007; Grodzinska-Jurczak et al. 2012; Kamal et al. 2013). However, acquisition is not feasible in the long term for two primary reasons: first, it is often economically unfeasible for a government to buy every parcel of private land in protected areas. Second, it changes the proportion of public–private ownership of land within the country, which is an important fact considering Poland was one of the few countries that managed to retain a considerable portion of its territory under private ownership even under the communist rule, indicating the importance of private ownership to its people (Giovarelli and Bledsoe 2001). Hence, in this current mix of traditional, regulated private lands and new adoption of EU policies, it becomes important to understand how managers responsible for implementing or promoting private land conservation at local and provincial level perceive such a strategy, its role in biodiversity conservation and the challenges and opportunities it brings to Poland. The institutional perspectives toward private land conservation in Poland will undoubtedly be influenced by the country’s private land conservation policies and tools which are, at present, in its nascent state at best. So how does it differ from institutional perspectives in countries with promising policy support and incentive tools? How do managers in such cases perceive private land conservation and identify factors that influence its success? Several countries are exploring the potential of private land in biodiversity conservation but this research investigates deeper into the US context for several reasons. Private land is gradually emerging at the forefront of biodiversity conservation in the US and has been a subject of discussion in the literature for a while with mixed models of protected areas as well as voluntary conservation on private land. Doremus (2003), Gattuso (2008), James (2002), Kittredge (2005), Rissman et al. (2006) and Scott et al. (2001) are a handful of such examples where the focus is on private land conservation in the US, the role of civil society organizations and landowners’ motivations. A country with a high percentage of private land within its territory (72 %), US has also been a country with significant acreage of private land under conservation (Gorte et al. 2012). For instance, an estimated 40 million acres (or 16,187,400 ha) of private land is under conservation easement alone (NCED 2014). Using Kamal et al.’s (2014) classification, most of US’s private lands under conservation fall into category I(a) (conservation through purchase by a private conservation organization) I(b) (land under conservation easements), III (land under conservation contracts) and category V (active voluntary conservation). Therefore, its current state of private land conservation is already far advanced than that of Poland’s. As a non-European country, it also presents a different context and a different perspective from the post-communistic European one. Voluntary private land conservation at this scale in the US would not have been possible without adequate policy support both at the federal as well as state level. Open space programs, federal and state tax laws as well as the strong presence of civil society organizations such as land trusts and other non-governmental organizations (NGOs) offer a large number of incentives and opportunities to private landowners to engage voluntarily (George 2002; Ma et al. 2012). Conservation easements, conservation contracts, provisions under the Farm Bill such as the Conservation Reserve Program, Grassland Reserve Program are a few examples of the many tools that support voluntary private land conservation in the US (Rissman et al. 2006; USDA-ERS 2014). Along with the policy support, there has also been a surge in the number of organizations that work directly or indirectly to facilitate conservation on private land. Land trusts are the most conspicuous of all and their number is on a constant rise (Ernst and Wallace 2008; Gattuso 2008). It has been over three decades since the Land Trust Alliance (LTA), an organization that facilitates resource exchanges among the increasing number of land trusts along with promoting land conservation, was formed and there are over 1,500 local and national land trusts in the US right now (LTA 2013). These facts along with the ever increasing literature on private land conservation are an indication of the growing recognition of private land conservation in the US by both the public and the private sector institutions. The US, therefore, presents an interesting context where private land has had some time to evolve and to be explored, and in this process it brings forward useful insights as a way of laying foundational principles for others on what has worked, what has not and why. The goal of this research is to analyze the difference in institutional perspectives that is generated based on the experience of voluntary (in the US) and involuntary private land conservation (in Poland). Specifically, it examines how the context of regulated private land versus the presence of voluntary tools has an influence on managerial perception of the role of private land in conservation, its challenges and potential opportunities. To investigate the institutional perspectives on private land conservation, the research first identified study sites within each of the selected countries. Since private land conservation in Poland is limited only to protected areas and there is no voluntary form of private land conservation, the research focused had to limit itself to specific sites, which were the three most prominent forms of protected areas in Poland. The criteria for site selection included size of the protected area (minimum 15,000 ha), percentage of private land or arable land within its border (minimum of 25 %) and minimal overlap with other forms of protected areas. Based on these criteria, three forms of protected areas were selected which lies in three voivodeships (equivalent to states): Natura 2000 site Dolina Gornej Wisly (Slaskie voivodeship in the south-west); Skierbieszowski Landscape Park (Lubelskie voivodeship in the south-east), and Biebrzanski National Park (Podlaskie voivodeship in the north-east of Poland). For the US case study three states were identified based on several criteria. The research did not limit to specific sites since US has several voluntary conservation tools for private land outside of proetcet area and the goal was to capture the perspective of institutions involved in such voluntary actions. Primary focus was on states with high percentage of private land ownership, high percentage of voluntary private land conservation (using National Conservation Easement Database as an indicator), different forms of land uses (such as farming and forestry) and different forms of private land conservation (voluntary, and private land within protected areas). Most of the states narrowed down in this process were located on the east coast of the country. Accordingly, the states of Connecticut (private land ownership: 94.3 %), Pennsylvania (private land ownership: 83.26 %) and the state of New York (private ownership: 62.9 % and contains Adirondacks Park) were selected for the study (NRCM 2002). Qualitative social sciences method, namely in-depth interview, was used to collect data for this exploratory research. Within each site in Poland, the primary institutions involved in management and decision making processes of the protected area were first identified. For the national park, respondents included the national park office, Regional Directorate of Environmental Protection (RDOS), a local NGO chosen randomly from a list of NGOs in the locality, and the office of local municipality that is part of the protected area. Similarly, for the landscape park it was the landscape park office, RDOS, an NGO and the local municipality office; while for the Natura 2000 site it was the RDOS office, a local NGO, municipality office and finally the water management authority responsible for the management of the water body that led to the designation of Natura 2000. A total of 12 face-to-face interviews were conducted and each interview lasted an average of forty five minutes. In the US, the main institutions involved in the management of private land under conservation (both voluntary and within protected areas) were considered. For New York, it was the landowners’ association in Adirondacks Park, the Wildlife Conservation Society (WCS) at Adirondacks, the US National Forest Service (NFS) and the National Park Service (NPS). In case of Pennsylvania, respondents included the USFWS, US Natural Resources Conservation Service (NRCS), The Nature Conservancy (TNC) and a local land trust and respondents from Connecticut included a local land trust, the USFWS and TNC. Additionally, the research also included a respondent from the NPS’s Human Dimensions in Biological Resource Program, as it was specifically designed to work with private landowners inside of national parks. A total of 13 interviews were conducted across the three states, of which two were face-to-face interviews and the remaining were telephonic interviews. Each interview lasted an average of 1 h and 10 min. Respondents’ understanding of the role of private land in biodiversity conservation and the need to include it in conservation strategies. The primary challenges for private land conservation, as identified by the respondents, to become an effective conservation strategy (specifically within social, economic and governance domains). Respondents’ opinion of potential solutions to overcome these challenges (economic, social and policy level). Respondents’ opinion on the role of NGOs in enhancing private land conservation. Respondents’ experience of landowner characteristics that predisposes them to conservation and undertaking activities on their land. Any additional insight from the respondents on private land conservation based on their field experience. Additionally, the role of voluntary tools and their benefits and challenges were further discussed in the US context. The interviews were recorded after due permission from the respondents and were subsequently transcribed. The transcriptions were then coded using Gibbs (2007) and Saldana (2009) as guides and QDA Miner as the software for the analysis. The coded statements from all transcriptions were then analyzed to gather the respondents’ opinions and select specific statements to represent these opinions. The following results summarize the respondents’ perceptions on the status of private land conservation from their institutional perspective and in their context. The two tables present the main issues raised in the discussion, the key findings and contain examples of respondent statements that are evidence of these findings. The statements are also referred to by their numbers in the description of the results. The two case studies highlighted the differing views that exist on private land conservation and how it varies based on context and experience. Specifically, the lack of any concrete initiative targeting private land conservation in Poland limited respondents’ input to the discussion due to the lack of experience as well as focus on the subject. The US context on the other hand captured a diverse range of factors contributing to efficient private land conservation, although challenges still remain abound. The respondent statements referred in the text in this section are from Table 1. …landowners would decide they want their land to be included into conservation plan—this would be absurd! No one would probably agree, why would they want to lose the land if it’s not necessary? Nobody asks people if they wanted to be included or the form of nature protection… it is just designated and that’s it. This is where the opposition originates—why can’t I manage my land the way I want it because it inside of a protected area? The only form of private land conservation in Poland currently in existence is the regulatory form within protected areas and it became increasingly evident during the discussions that private land conservation is a very new school of thought for the managers and as such, they did not recognize it as a strategy that is separate from the traditional protected area model. Nevertheless, within this limited view, the respondents had a mixed opinion on the importance of private land for biodiversity conservation. While some acknowledged and mentioned it as “crucial”, others related its importance to their local context—if public lands were sufficiently protected in conservation priority area then conserving private land was not so important. Additionally, if a private parcel of land outside of a protected area was identified with high conservation value (such as having a protected species), then the land management by the landowner must have been adequate so far and therefore, there should be no need to put restrictions on such parcels of land. This reflected their lack of focus on the influence of factors such as change of ownership or land-use and future division of the land. Most respondents were also challenged in articulating the reasons for which private land could be important to biodiversity conservation, besides the fact that it was already a part of some protected area. Nevertheless, a few respondents did identify connectivity within the protected area as a key function that private land can perform for biodiversity. Examples of remarks from the respondents on this issue include statements 1–3. Since private land conservation had no presence in Poland besides the regulatory form, the respondents had limited understanding of what voluntary conservation entailed. They often interpreted it as another form of regulatory conservation, the only difference being that the landowner would voluntarily allow for his private land to become a protected area. Hence, it was difficult for them to comprehend why a landowner would be interested in making his/her land a part of protected area voluntarily, if it had not already been identified so by the government agencies. Within this limited definition of “voluntary” conservation, most respondents concluded that it was unlikely that any landowner would want his/her land included in any conservation mechanism, thereby making voluntary conservation unfeasible and impractical in Poland. Remarks such as statements 4–6 validate this point of view. Focusing the discussion on policy support, the respondents could not identify any environmental or conservation policy at a national or local level that focused on private lands. The only indirect policy was regulations for protected areas, and these subsequently extended to private land inside of protected areas. There were also some instances of acquisitions of private land within protected areas, mostly by NGOs and the responsible protected area agency itself, in order to have less acreage of private land and more control over the management of the entire protected area. However, the NGOs are relatively limited in their number and resources, and cases of acquisitions are not very common and it is often economically unfeasible for the protected area agency to buy all parcels of private lands within the protected area. Also, the fact that each sector/agency tried to perform its tasks with limited or no collaboration with other sectors/agencies made it challenging to have any significant impact. Still, acquisitions and regulations continue to be the dominant themes in private land conservation but often pose a financial challenge and is a source of conflicts. Statements 7–12 evidence some of these findings. The importance of financial incentives or compensation for landowners, and the current lack of such tools in Poland was perhaps the most discussed and emphasized issue during the interviews, as apparent in example statements such as 13–17. Indeed, this topic contributed to major part of the discussion and most respondents iterated and reiterated this issue, citing it as the most effective and immediate solution to deal with conflicts related to property rights and landowners’ authority over their land. At present, Poland has no financial tools for private land conservation, except for the EU agri-environmental schemes, which are targeted at farmers only and does not cover other forms of land uses on private properties. For most respondents, presence of financial tools was the crucial condition required to even initiate conservation measures on private land and so far, it has been an unfulfilled condition. According to these respondents, the lack of any adequate financial mechanisms made the situation often confrontational between conservation agencies and landowners over different aspects of property rights. To reiterate the fact, some examples of human nature conflicts related to private land were also cited where local residents and even their representative municipal office protested against Natura 2000 implementation in their surrounding with no compensation or financial incentive programs. However, the respondents had limited knowledge on financial tools that are already being explored in different countries. Also, little was said on who should be responsible for designing or implementing such tools, and with limited interaction among the different stakeholder groups, fulfilling these tasks was a challenge in itself. Besides the immediate and short term solution of financial tools to mitigate conflicts, they also identified a need to address the lack of motivation and awareness among landowners to conserve biodiversity on private land, coupled with their low level of civic engagement and willingness to participate. The general agreement was that better information dissemination and raising environmental awareness, together with financial support, would make such a strategy more acceptable and might even motivate landowners to engage in voluntary conservation. The respondents assessed a serious challenge in the current lack of basic mutual communication and cooperation between the stakeholder groups, especially the landowners. Examples of responses to this topic include statements 18, 19. Thus, according to the respondents, private land conservation has had limited application in Poland so far, and with no political and financial support, together with lack of strong collaboration between stakeholder groups, the feasibility of the strategy (both voluntary and regulatory) was questionable. The respondent statements referred in the text in this section are from Table 2. …the underlying issue with them [landowners] is that they have a conservation ethic just like we do. We are not an easy group to work with—we are very bureaucratic and very slow…and they are patient with us, thank God! The importance of conservation on private land was well recognized and sometimes mentioned as “dramatically important” in the American context by managers of the interviewed agencies, including public institutions such as the NPS that mentioned changes in their strategy to be more inclusive of private lands around protected areas. Respondents from both public and private sector institutions cited biodiversity on private lands as the main reason for its inclusion in conservation strategies and several contributions of private land to biodiversity conservation were identified. They acknowledged the role of private land in increasing habitats for threatened species and strengthening ecological connectivity among protected areas for better movement of wildlife. Some respondents focused more looking at the bigger picture and emphasized on the role of private land in holistic conservation of contiguous landscape, instead of small isolated pockets of land. Statements 1–4 include respondents’ opinions that support these findings. Private land conservation in the US has relied mostly on voluntary strategies and therefore intrusion on property rights did not seem to be an issue of contention. Comparing voluntary strategies with regulations resulted in mixed opinions. While the need for regulations in certain cases was acknowledged, some of the respondents had reservations against using regulations all the time. The argument in favor of regulatory action was that voluntary initiatives will never be sufficient and depends largely on the landowners. On the other hand, restrictions on private property were not going to be very effective anyway due to property rights of the landowner and in turn, generate more animosity between landowners and the implementing agencies, and as such was not a preferred mode of operation for the institution as well as the landowner. Statements 5–7 echoed these sentiments. Voluntary conservation was encouraged by all interviewed agencies using different forms of assistance—depending on the agency, they provide technical assistance for land management or project planning and implementation, advocacy, promotion of stewardship, financial assistance, or a combination of a few of them, as captured in statements 8–12. Most of the financial assistance to landowners lie in easement programs, along with specific programs under the Farm Bill, the primary agriculture and food policy tool of the US federal government. In addition to these, respondents also mentioned other programs that pay for actual practices consistent with those mentioned by Kamal et al. (2014) as conservation contracts, such as incentive payments for practices that support wildlife. Irrespective of the type of assistance, most respondents noted that the choice of assistance was decided not only on available funds but also on organizational objectives and meeting the interests of both exchanging groups. The presence of conservation agencies and the financial assistance depend largely on the existing policies and the opportunities that they present. In general, most respondents felt that the policies were theoretically adequate and more policies to regulate how people use their land might not be possible. The main challenges now are to connect these policies to one another and also to reduce the gap between theory and practice—how these policies translate into action and increase their outreach. Examples of responses to current status of policies include statements 13–16. The existing policies, however, do open a path for various tools that can be used for conserving private land. Outright acquisition and conservation easements emerged as the two most popular tools being used on private land as evident in statements 17, 18. However, financial constraint is always a limiting factor for most agencies when it comes to direct acquisition of private lands that are important for biodiversity. Also, some agencies held reservations against acquisition as it can affect both the land use dynamics and the cultural connections that landowners hold with their land, an example of which is statement 19. Acquisition being simply ownership transfer, this research enquired more on the role of easements in private land conservation. Conservation easement, in its basic form, is a tool where a landowner voluntarily surrenders some rights (such as developmental rights) over his land to an organization who is the easement holder (such as a land trust), in exchange for monetary or tax benefits. There was almost a unanimous opinion that the role of conservation easements has been very crucial which is why it is growing rapidly throughout the country. The tax benefits from easements have been a strong motivation for landowners, especially for owners of large land parcels which can sometimes become a financial burden for the new generation of owners. However, there are always challenges including assessing their real conservation contributions, along with enforcement and monitoring which requires substantial time, money and human resources. Additionally, the change in ownership through sale or inheritance can also make easements difficult to continue or implement as new buyers may not agree to the terms of the easement or choose to disregard it. Statements 20–23 present some examples of respondents’ opinion on conservation easements. The conservation easement “movement” and indeed private land conservation in the US has been spearheaded by the NGO sector. One of their main roles, especially of land trusts, have been to provide financial support, sometimes even to public agencies such as the NPS. Their mode of operation also makes them more approachable and effective in outreach. The response to the role of NGOs is well captured in statements 24–29. Public sector institutions were quick to acknowledge the role of NGOs which could be an outcome of the collaborations between the private and the public sector institutions. For example, the USFWS in Pennsylvania works with NRCS as well as with NGOs such as Ducks Unlimited, Pheasant Conservation groups and “dozens of such associations” for their projects on private lands. Also, most local land trusts are small in size and in such cases collaborations are mutually beneficial. Inter-agency as well as hierarchical frictions were mentioned but most respondents acknowledged the need to set aside differences if they were to proceed with their work. Besides the support from NGOs and public institutions in the form of technical and financial assistance, the extent and effectiveness of private land conservation relies heavily on the landowner himself/herself and a landowner’s characteristics can definitely influence the outcomes. While acknowledging that socio-economic factors are difficult to generalize, nevertheless, some characteristics were considered influential such as economic standing, social status in the community, education, land-use type, acreage of land owned, other income sources and generation of ownership. However, there was a consensus on one trait: the presence of conservation ethic in landowners. Almost all respondents emphasized that the “love for the land” and the desire to see it last forever in its present state is the main driving force for a landowner to conserve that triumphs over all other factors including financial incentives. Examples that support this finding include statements 30–32. However, this line of thinking comes with the caveat that conservation ethic needs to be encouraged or supported by some form of assistance and often financial or technical assistance helps develop a feeling into action. Thus private land conservation in the US has been a complex amalgamation of policy and institutional mechanisms, and landowners’ motivations. It therefore cuts across social, economic, ecological and political sectors and such a mix cannot be without its challenges. For most government institutions and also some NGOs, as reflected in statements 33, 34 the toughest hurdle for voluntary conservation was the very fact that they have to rely heavily on a landowner’s willingness to participate, and to work with people and on their private properties where their authority is unquestionable. Unsurprisingly, the second biggest challenge was identified as financial constraints. Especially acquisition of private land and its subsequent conversion to public lands lacks political will and as a result, government institutions and their programs are limited in their budget for acquisitions. For NGOs and especially the land trusts, the financial constraints were also very pronounced and they had to devote significant time and human resources to fundraising. Large organizations like the LTA also help smaller land trusts to raise operational funds. Lastly, landowners’ willingness to conserve, especially when they fear it will conflict with their land use is one of the hurdles that most institutions faced. This was mostly attributed to their fear generated from less awareness and more information dissemination was definitely desired. Statements 35–37 mention some of the above constraints. The respondents, therefore, felt that conservation on private land is making a difference in the US landscape; however, it is still a relatively new conservation strategy and a complex of various factors, some of which are yet to fall into place. This research would like to acknowledge the role of a country’s political history in its present and future policy decisions on biodiversity conservation. Poland is gradually emerging from its communistic past and although it has overcome a lot of its challenges and has made significant progress, there are still several areas of improvement. In terms of biodiversity conservation, Poland still restricts itself to regulations and centralized control, as reflected in its national environmental legislations as well as its traditional model of protected areas. Poland’s communistic past therefore makes it a challenge to evolve from a top-down approach of governance to a more participatory approach, which is a pre-requisite for private land conservation. The US on the other hand represents the other end of the spectrum; nature conservation has had a long history and so does public participation. Its relatively longer history of democracy has been supportive of individual’s rights as well as acknowledging the role of civic sector organizations. The choice of conservation tools for private land is therefore dependent, among other factors, on a country’s political history and its will to engage with all stakeholders. However, discussing the rich political history of the two countries is beyond the scope of this research and hence the discussion will limit itself to the findings of this research alone. The aim of this research is to present the differing perspectives of institutions based on their experience with voluntary or involuntary private land conservation and US and Poland serve as examples of such conditions. The findings of this qualitative research presents the institutional perspectives of organizations involved in private land conservation and thus it differentiates itself from similar studies on private land conservation that focuses on landowners’ perspectives and motivations or on specific private land conservation tool such as easements (Daley et al. 2004; Ernst and Wallace 2008; Farmer et al. 2011; Joshi and Arano 2009; Raymond and Brown 2011). The institutional perspectives from the two countries highlighted the differing views that exists on what private land conservation entails and its trajectory into the future in the two countries. In the US case study (which was restricted to the north-eastern part of the country) private land conservation was mostly voluntary, although it did exist inside of protected areas a well, their perception of private land conservation extended to all types of private properties. In contrast, the perception of private land conservation in the case study of involuntary conservation (Poland) was restricted to only those lands that were inside of protected areas. Even voluntary conservation was perceived as “tools” that can be used to engage landowners to willingly become part of protected areas, and voluntary conservation without any legal obligation of being part of a larger protected area was rather inconceivable for managers in the Polish case study. This suggests a common assumption among managers that top-down, regulatory approach works the best. It also validates Kamal et al.’s (2014) observation that from a global perspective, conservation on private land and what it encompasses still lacks a clear and concise understanding for managers of such regulated private lands and associated institutions. Another closely linked issue is the role of private land in biodiversity conservation and here again there is difference in perspective based largely on experience. The importance of private land conservation and the role it plays in biodiversity conservation at a species, ecosystem and landscape level is well recognized in both the public and civic sector in the case of voluntary conservation (such as the US), and there is also some data available to support these facts. Ecological connectivity and increasing the total land area under conservation is also one of the reasons why voluntary conservation on private land that are outside of formal protected areas are being supported by US conservation agencies. In contrast, although ecological connectivity was identified in involuntary conservation as well, it was limited to the outlook of private land as unfinished pieces in a mosaic of public protected areas and increasing the connectivity within protected areas and not between landscapes. Subsequently, even if financial mechanisms were to be made available in such areas, the institutions will tend to focus only on these private lands, instead of including at private lands outside of protected areas. Changing this institutional perspective is, therefore, very crucial if biodiversity conservation is to be extended outside the limits of formal protected areas. For sustaining and disseminating a strategy such as private land conservation, the presence of dynamic and adaptable policies is imperative and this was highlighted in the two contrasting case studies. Although there is still a lot of scope for improvement in implementation, nevertheless, the policy support in the US has made a promising start. Unfortunately, the same cannot be stated for Poland. If the role of private land in biodiversity conservation goes unacknowledged in national and state environmental policies as is the case right now, then there are limited opportunities for practitioners to mitigate conflicts or to encourage voluntary private land conservation. Other EU countries which are subjected to similar EU environmental legislations such as Natura 2000 are exploring policy tools to make private land conservation more feasible within their national framework such as fiscal transfers in Portugal and France, and there is no reason why Poland, cannot explore potential tools that fit well into the country’s context (Santos et al. 2010; Schroter-Schlaack et al. 2014). Inclusion of private land in conservation policies is no longer optional for Poland, more so as the designated sites of Natura 2000 are being officially implemented on private lands and management plans are being drawn. Policies that support top-down approach to governing biodiversity needs to adapt in order to make the governance process more inclusive and participatory. Since private land conservation is founded essentially on grassroots initiatives, the presence of a strong civic sector can have significant influence on its outreach and implementation. In the case studies, the two countries have a very different political history and hence the role and the ability of the civic sector to establish and engage and perform activities are also very different. Whereas the strong presence of NGOs has hastened the pace of private land conservation movement in the US and often supported the public sector, the role of NGOs has been rather limited in the Polish context. It is important to acknowledge that this is partially an outcome of Poland’s troubled political past where “voluntary” actions were often forced on people, “civic organizations” were controlled by the government, and the modern civic movement has been around for only 20–25 years (Bell et al. 2011; Cent et al. 2007). Thus, there is still a lot of mistrust among people which is reflected in their weariness in forming or working in civic sector organizations (Cent et al. 2013; Niedzialkowski et al. 2013). For effective outreach and implementation of a strategy such as private land conservation the presence of the civic sector organizations need to as conspicuous as the public sector and Poland has a long way to cover in this aspect. The importance of financial mechanisms in promoting private land conservation cannot be undermined; however, to what extent it is influential is questionable and largely context based (Polasky and Doremus 1998). In addition to stronger financial support than most countries, private land conservation in the US has relied significantly on altruism and philanthropy. It is therefore crucial to focus on non-monetary factors that influence private land conservation such as landowners’ conservation ethic, their environmental education and awareness, and other socio-demographic factors (De Snoo et al. 2013; Koontz 2001; Ryan et al. 2003). Also, it would be perhaps more effective if financial incentives were framed with emphasis on the differences in landowner characteristics instead of being homogenous, such as differences in small acreage versus large acreage landowners, in new owners versus several generation owners, in inheritance and in land use, to name a few. Finally, progressive policies do not necessarily ensure a shift in people’s perception. Acquisition is still the preferred choice in the US, especially for private land within protected areas. The paradigm shift in policies for land conservation needs to be complemented with a shift in practitioners’ attitude that would promote and maximize the opportunities in land stewardship. Examining the Polish case study on the same subject, it is evident that the lack of financial support specific for private land conservation has concentrated the attention of managers to think of financial tools as the ultimate solution to their challenges. While this is necessary and important, it often becomes a shortsighted solution and other complex interactions that were identified in the US context such as public–private sector collaborations, role of civil society organizations, promotion of stewardship, and building on the existing social and cultural traits such as conservation ethic are often overlooked. Also, no data exists on how much of private land is being conserved even inside of the different types of protected areas in Poland. Since regulatory mechanisms have dictated private land’s involvement in conservation so far, there has been a lack of motivation to gather information on landowners’ attitudes toward private land conservation. Without the availability of such information, managers of regulated private land inside of protected areas have to deal with human nature conflict based on their best subjective judgments. A crucial aspect of private land conservation was left untouched in both discussions and that is the current lack of focus on the conservation outcomes in private land conservation. The primary interest is on ‘how much’ of land is being conserved instead of assessing ‘what’ these private lands are conserving (Murdoch et al. 2010). This information is probably available at a local scale but there is a need for more cohesive and overarching measurement and evaluation, if private land conservation is going to be a strategy for biodiversity conservation like public protected areas. Private land conservation at a global scale is at a nascent phase and it needs to be better organized and more efficient in order to be recognized for its contribution to biodiversity conservation, much like the protected areas. Strategies to reduce the current trends of biodiversity loss need to be dynamic and adaptive and private land conservation is no exception. Such a bottom-up initiative relies heavily on all stakeholder groups to play their part and significant progress can be expected only when the desired changes in landowners’ attitudes is complemented with a change in managerial perspective of institutions that are involved in the governance of such conserved private lands. The study described here was done as a part of the following Jagiellonian University grants: Investigating Challenges and Opportunities in Promoting Biodiversity Conservation on Private Land (DS/MND/WBiNoZ/INoS/16/2013). The authors would also like to express their gratitude to Brad Gentry (Yale School of Forestry and Environmental Studies, New Haven, USA) for the technical advice and support he provided throughout this study.